Healing Power! 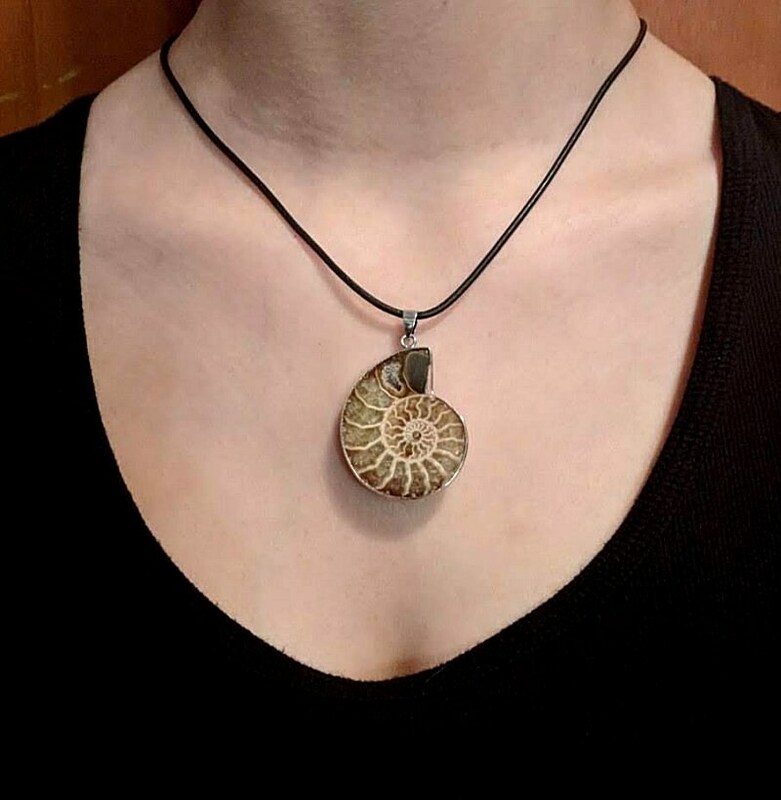 A real ammonite fossil edged in silver makes a unique pendant! 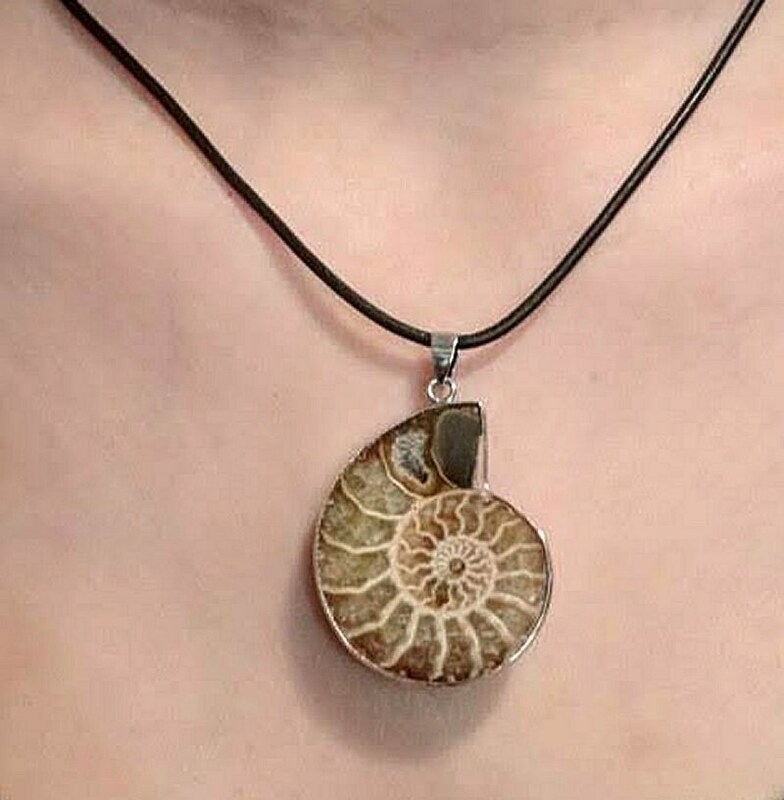 This example of the sacred spiral in nature, measures approx. 1 1/4" (32mm) across and 1 1/2" in height excluding the bail. Also, included is a leather cord with a lobster claw closure. 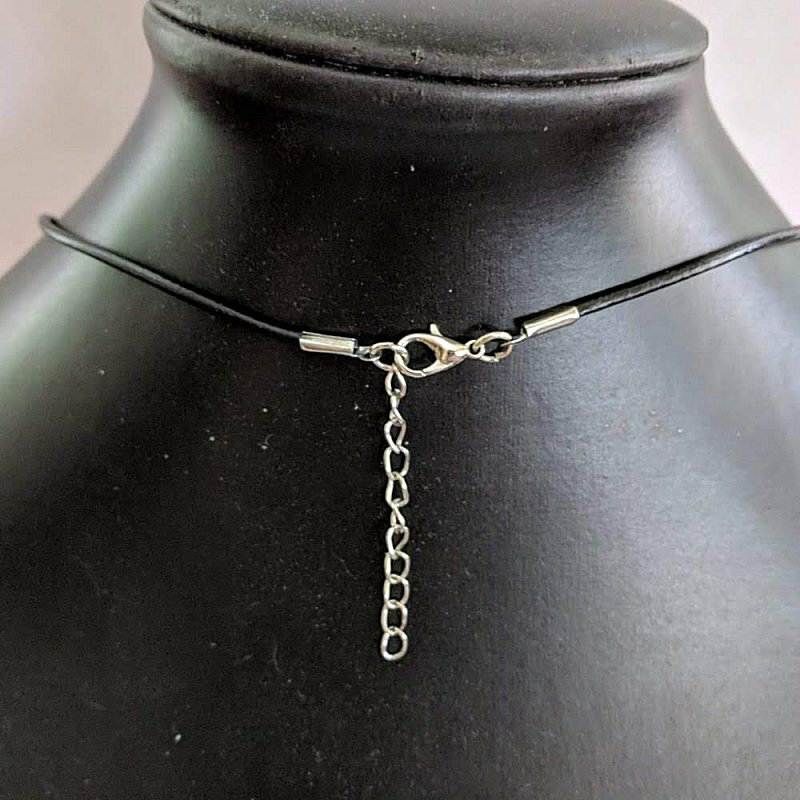 This necklace measures 18" and has a 2" extender chain. Let us know if you would rather have a chain. We ship via USPS Priority Mail - Insured which has a 2-3 day delivery time-frame once the package is posted, plus you can track it on-line. 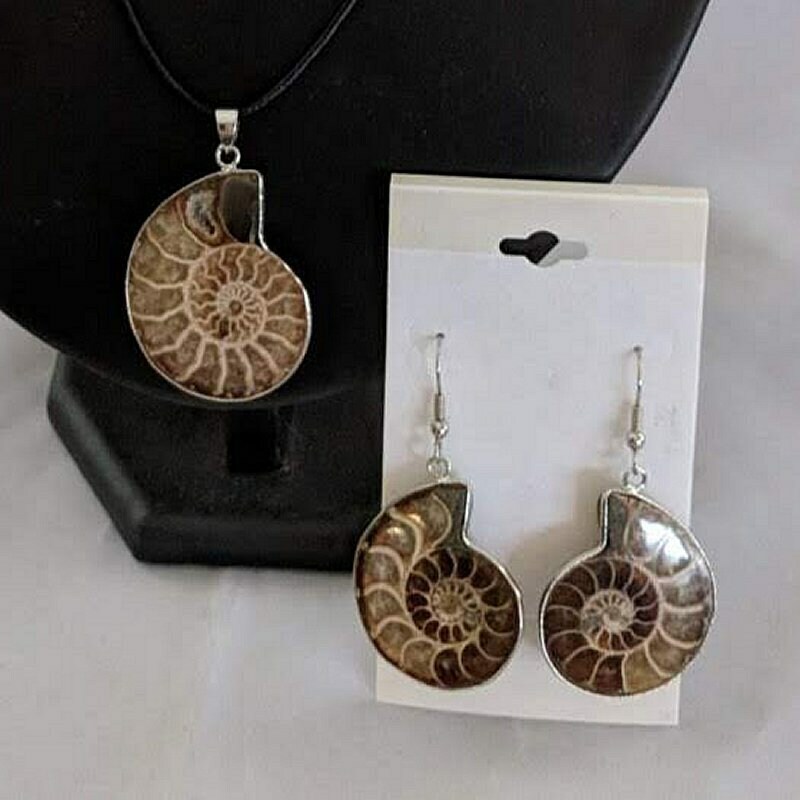 Ammonites are perhaps the most widely known fossil, possessing the typically ribbed spiral-form shell. 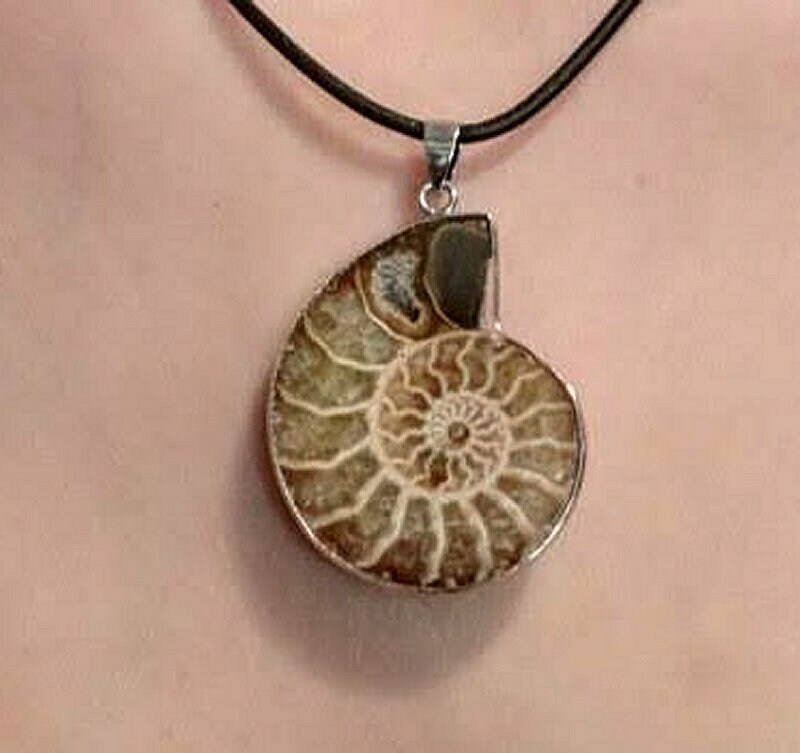 These creatures lived in the seas between 240 - 65 million years ago, when they became extinct along with the dinosaurs. 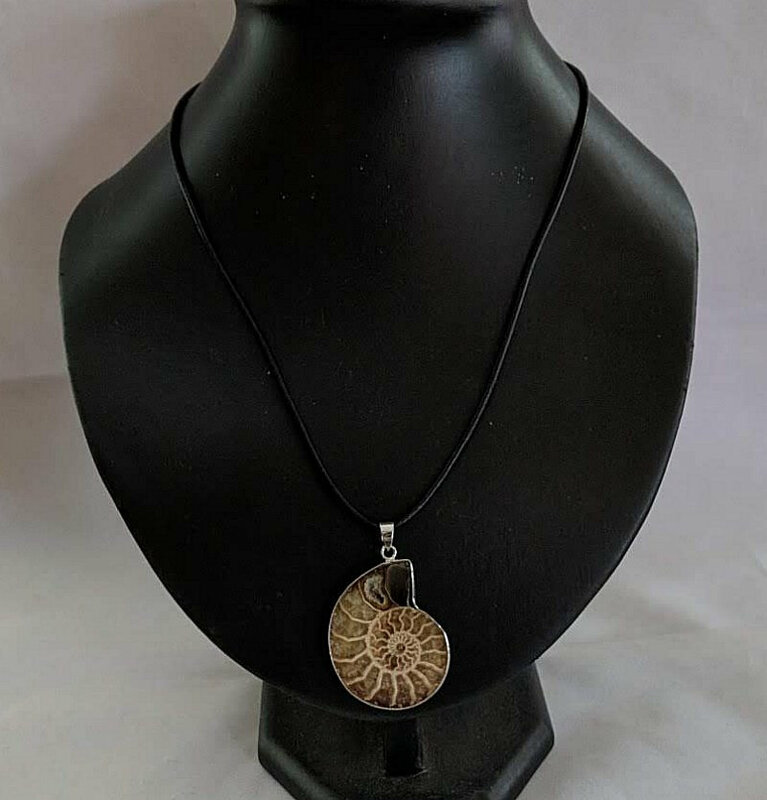 Although most people think of them as a nautilus type creature, they were really closer related to the squid and octopus. It is believed they looked like a squid with a shell.